The chart above is spectacular. Above all, zoom in and look at the four yellow and red points at the right. 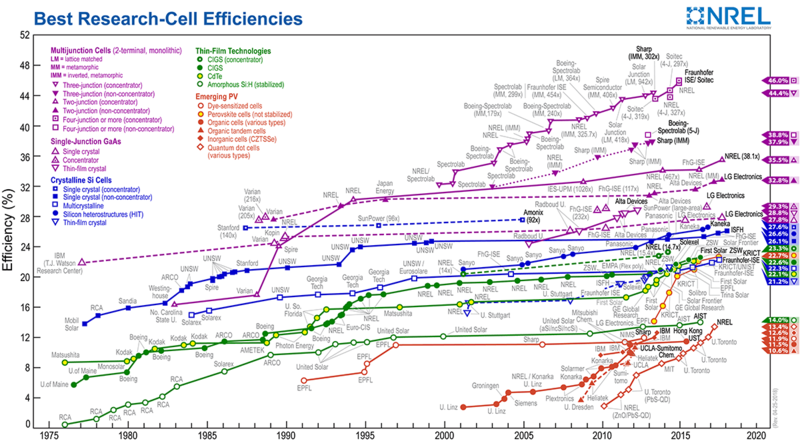 They represent the performance evolution of a new technology for solar cells that was discovered almost accidentally few years ago. Instead of using pure silicon crystals (whose manufacture is expensive both economically and energetically), a material called perovskite is used. It doesn’t contain expensive nor rare metals.